The USA and China are the World's largest economies. The new US administration is prioritising a set of new policies. China has announced changes to its power and party governance structure on the recent party congress. Both are based on a outspoken rhetoric of national strength and pride, and both continue their respective economic policies of the past 2 or 3 decades. The US – in particular under the new administration – is advocating a free a market approach, where as much as possible should be left to self-regulation by the market. China, on the other hand, continues to advocate a state-directed free market approach, where the state directs the economic development through investments and policies. With China pushing more and more on the World stage, it is possible that we have a new competition between two different state systems on our hands. Whether we like that or not. In this light, SolAbility has evaluated the future impacts of US policies as proposed by the new administration on the ground – based on the 111 indicators used for the Global Sustainable Competitiveness Index. 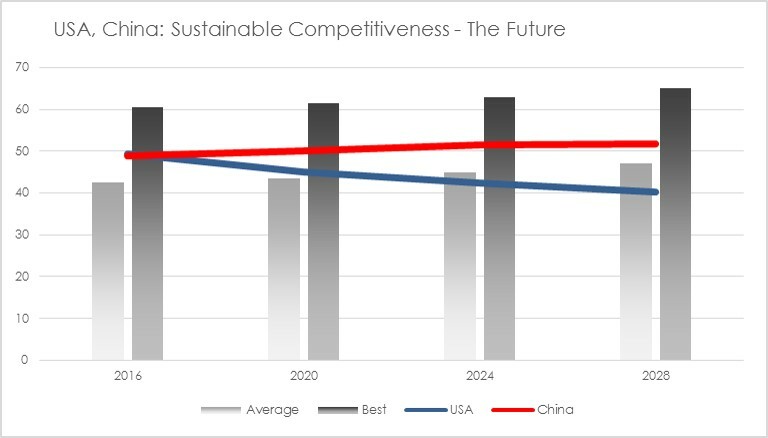 The results show that the US is set to forfeit competitiveness and drop from its current ranking of 20 in the Global Sustainable Competitiveness Index 2017 to somewhere in the 80s until 2025. 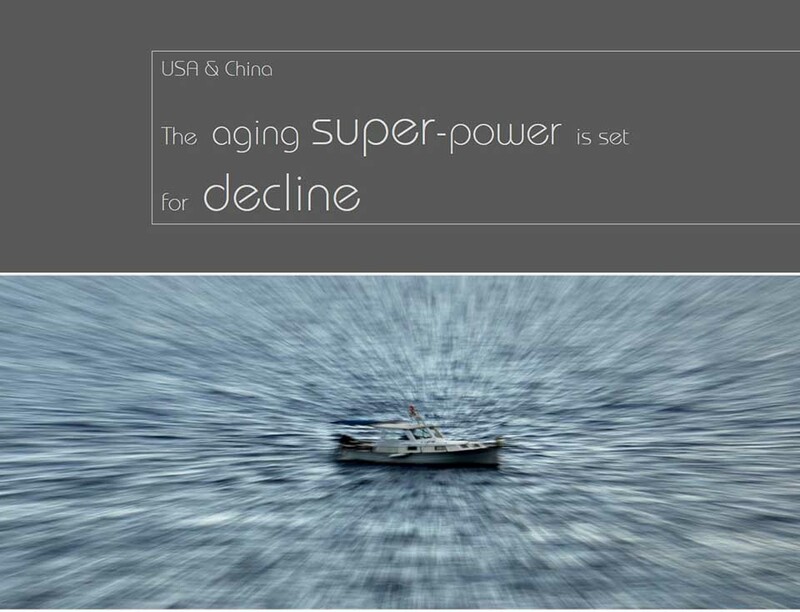 China, on the other hand, is set to gain competitiveness until the mid-2020s, before the new authoritarian style is stifling further developments.